N loves cars! That’s probably not a giant surprise to most, but I have to admit that I didn’t really expect the obsession he’s developed over the past few months. E certainly never spent a lot of time playing with cars, we didn’t default to giving him cars, and I was always very skeptical about the whole “There’s a genetic reason why boys love cars!” thing. I still don’t believe that ALL boys love cars by nature rather than widespread nurture, but there’s definitely no denying that N chooses to spend a lot of time each day playing with cars of all kinds (to include other means of transportation like motorcycles, boats, helicopters, and airplanes). 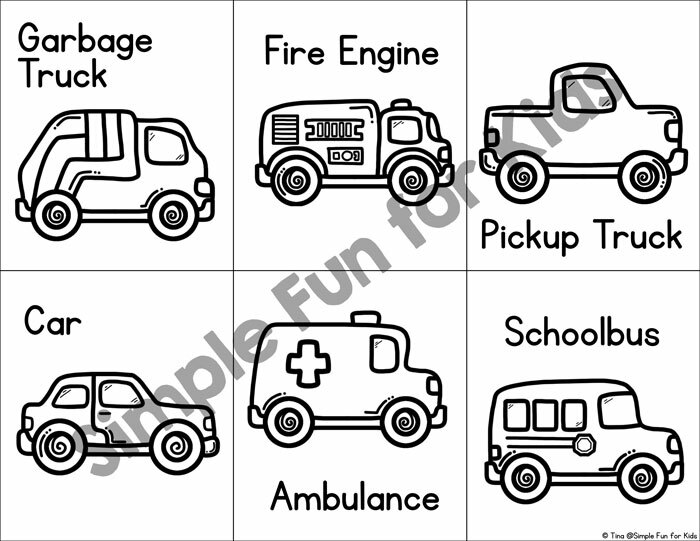 He’s also really enjoying the simple printable toddler matching games I’ve been making for him, so I’ve finally combined both of his interests in this Transportation Matching Game for Toddlers. This version is a bit different from my previous matching games from toddlers, as there are even more ways to use it. 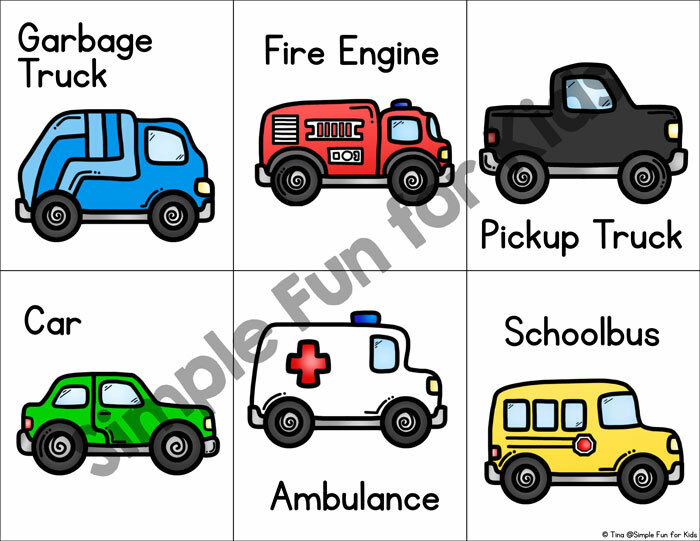 I used six different images as usual, in this case garbage truck, fire engine, pickup truck, car, ambulance, and schoolbus. In addition to colored images with matching words, there’s a second page with the same images in blackline and matching words. So with this set, you can play the regular way by printing the colored page twice OR printing the black and white page twice. Alternatively, print each page out once and match the colored and black and white images. N has gotten very good at matching the colored images, but matching colored to black and white images is definitely a bigger challenge for him that’s still doable but takes a bit more thought each time. A great step up to extend the activity! 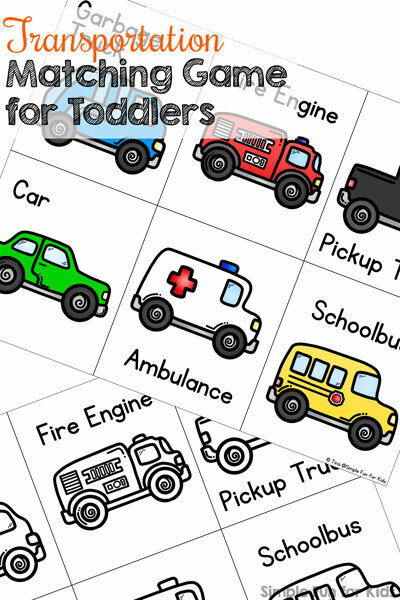 Download your Transportation Matching Game for Toddlers! Check out what my friends came up with for this month’s transportation theme! Looking for other simple toddler activities? I’ve got some great ones for you!